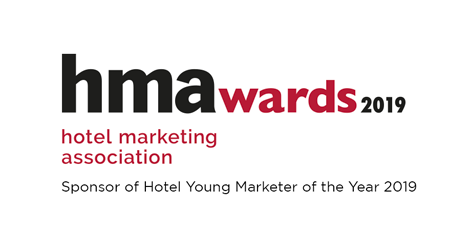 This week saw the presentation night of the Hotel Marketing Association (HMA) Awards 2019 in a glittering ceremony at London’s St Pancras Renaissance Hotel. The awards celebrate excellence in the UK hotel marketing industry and this year the Young Hotel Marketer of the Year award was sponsored by LAW Creative. And the winner of Young Hotel Marketer of the Year 2019 is… Amy Pattison of Rockliffe Hall, a luxury 5-star hotel in the North East of England. The judges commented on the particularly strong calibre of entries received in the Young Hotel Marketer of the Year category, so special congratulations go to Amy. In addition to the prestigious HMA Award, LAW Creative will offer Amy a day working at the agency with the creative, digital and film teams, and at the end of their experience she will be presented with the latest iPhone XS on which to further develop her social and mobile marketing skills. So, congratulations to Amy, and indeed all the award-winners, and we hope you all had a great night. To talk to an award-winning agency in hotels and beyond, contact josh.kichenside@lawcreative.co.uk. Header image: Far left, second row from the front: Josh Kichenside, LAW Creative Client Services Director, and beside him Amy Pattison, HMA Young Marketer Of The Year 2019, pictured at the presentation night of the HMA Awards.